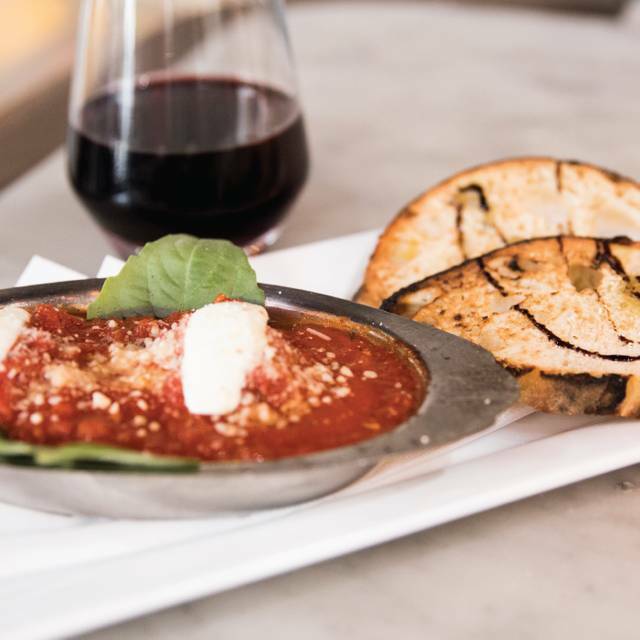 You must make reservations at least 5 minutes in advance of the time at Midici Neapolitan Pizza - King of Prussia. You are free to use the Town Center parking deck, should the lots be full. Birthdays, Mother's/Father's Day, Bachelor/Bachelorette gatherings, book club meetings, corporate luncheons. We have a full catering menu and we can also be found on EZCater. 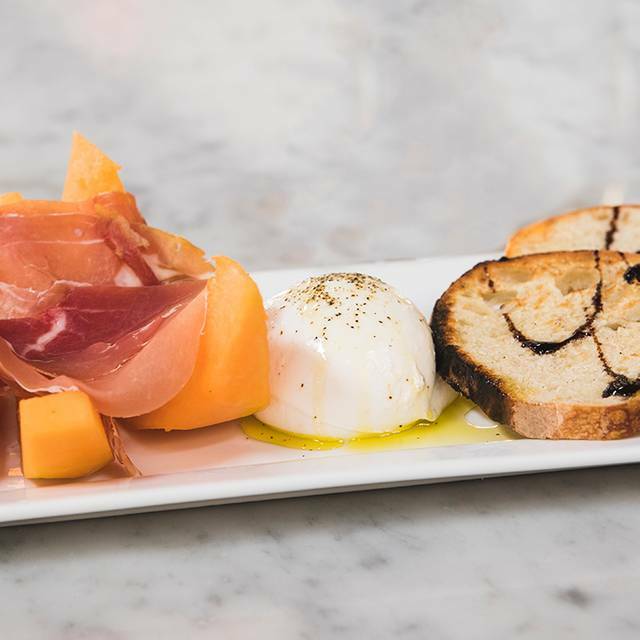 Enjoy wood-fired Neapolitan pizza, appetizers, salads, and desserts made with fresh, natural and mostly non-GMO ingredients in our open kitchen. 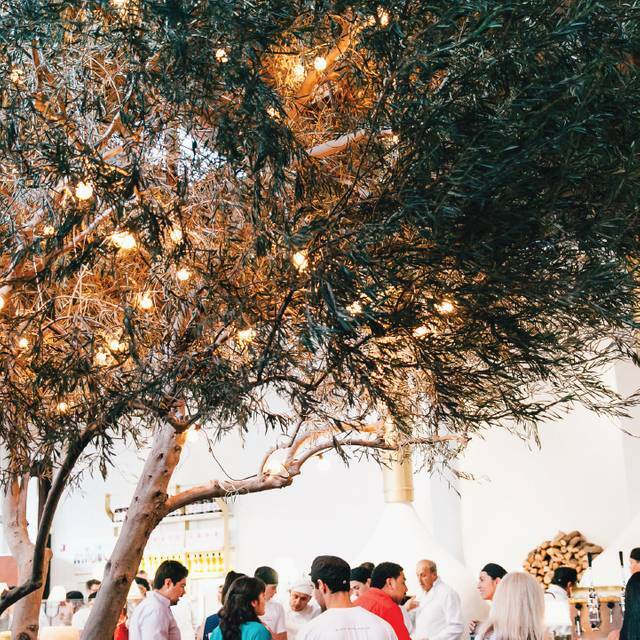 Sit under, Isabella, our live olive tree. We are BYOB, so bring your favorite wine or craft beer to accompany your meal. We bring friends together in a warm, upbeat atmosphere. 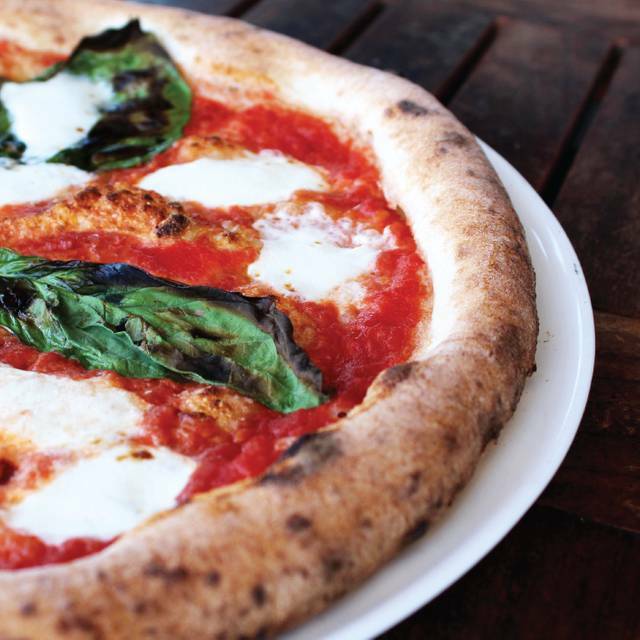 MidiCi, the Neapolitan Pizza Company. It’s an experience. Great food!!!! Nice in such a populated area to dine in a small quiet restaurant. Concept good. 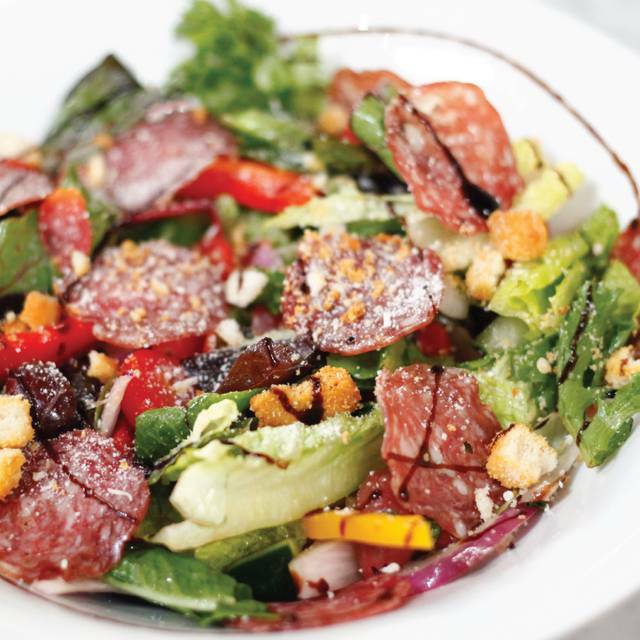 Salads fresh. Very expensive. On a Friday night with an early reservation they should not be “out” of two of their “homemade” desserts. No planning on part of management? Excellent food, service, and atmosphere. My wife says it has the best tasting gluten free pizza. Very friendly employees! Cheese board was amazing. My pizza was undercooked. They rushed us out even though there was no line. It’s a BYOB which was nice but you uncork your own wine. Amazing service as always! Favorite restaurant ever with the nicest people and BEST gluten free pizza!!! This was our first time at Medici. Our server was very personable and the food was good- especially the dessert pizza! It was a nice night. The server was attentive, But got a couple orders wrong in my group of 10. We had a great evening !! Attentive staff and the food was great !! Served 20 people seamlessly and everyone loved their food. The food came out quick- a little too quick. We ordered a cheese board, salad, and a pizza to share. The salad came out first and we had to ask for plates. Immediately after that our pizza came out and was placed on the empty table next to ours. I told the waitress that we would have like our appetizer cheeseboard first (hadn’t even gotten it yet) before the pizza). She said she wondered where it was because she did put the order in. Seconds later the cheeseboard came out and that too was placed on the empty table next to use. All in the all, the food tasted good but the timing of when things come our needs a lot of work. 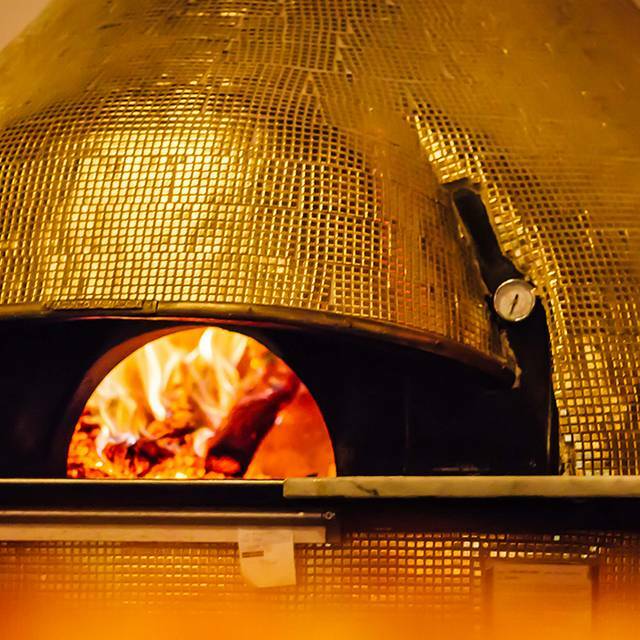 Medici is one of our favorite pizza restaurants! Although, we always start with the delicious cheese board and salads! I like that they now take reservations. The pizza was good. The Italian Salad was much better when the restaurant first opened. There was more in the salad and it was chopped. The minestrone soup was very good. 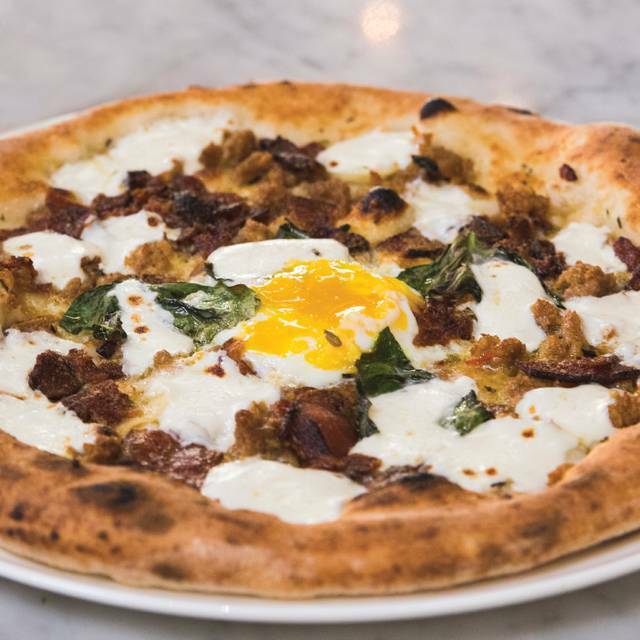 I went to Midici hoping for a good artisan pizza. I was very disappointed. Our server was great; attentive and personable. The food was not great. We ordered a pizza and a calzone, both lacked taste. However the most disappointing part on both was the crust/dough substance. It was for lack of a better word, soggy. The high temperature fast cooking oven did not take all the moisture out despite the burnt parts. The inside of the calzone was cold and the outside was just warm. In addition despite the various topping on the pizza and stuffing in the calzone they were both void of taste. We ordered cannoli and they were good. Perhaps the cook was working with a bad batch of dough on the evening we were there, but if does not make up for the fact that the rest of the components of the pizza and calzone were tasteless. I most likely will not eat here again. The pasta was bland and the shrimp scampi pizza needed seasoning. Tomato basil soup was too salty. Breakfast pizza had a runny egg even though we asked for it to be well done. The restaurant refused because they were too busy. I didn’t like that. Ambiance was nice and service was good but I won’t be in a rush to get back. Our server was very courteous and not aggressive. We had a pleasant, chill date night with some friends. Noise level was perfect to hold conversation without shouting. A nice crowd on a Friday evening, but not packed with wait times. We will def be back soon! Service was great. Very good location. Margarita pizza was a bit overcooked. But everything else is fine. Cozy atmosphere. Upscale crowd. We enjoyed a delicious meal with friends. The Manager was keen to correct a mistake with our food and was extremely friendly - he really wanted to make sure we were happy. Very good service and I loved the philosophy of the restaurant! The pizza and pasta dishes were all very flavorful! Our server was very attentive! Our oarty of 4 shared a variety of dishes and were very pleased. The truffle & prosciutto pizza was our favorite overall along with the dessert calzone! Woukd definitely go back!! Services is excellent and the wait staff is very attentive. The food is amazing and very fresh such as the salads. The pizza can hold its own against most places from NYC. It was a disaster! One undercooked pizza arrived, then nothing else. Server kept apologizing and disappearing but food took half an hour. Pasta was all stuck together. Finally manager at least made up for this by not charging us for the meal! Nice relaxed atmosphere in a comfortable setting. The time between placing order and it being delivered was very short. Food was of a very good quality. Great BYOB place for a casual, but quality meal. we love Midici! very kid friendly and accommodating staff!! Celebrating a 14 year olds’ birthdays with friends. Five moms enjoyed a meal and bottle of wine at a separate table. The best thing they could do to improve the experience is to fix the wait times. The restaurant didn't even seems that busy and we were there on a Wednesday lunch hour, but we had to wait a good bit before the food arriving, and also for a takeout order for a coworker. We wanted to order a dessert to go, but opted not to after realizing what the wait would be and confirming with the staff. I did appreciate the honesty, but was disappointed by that. 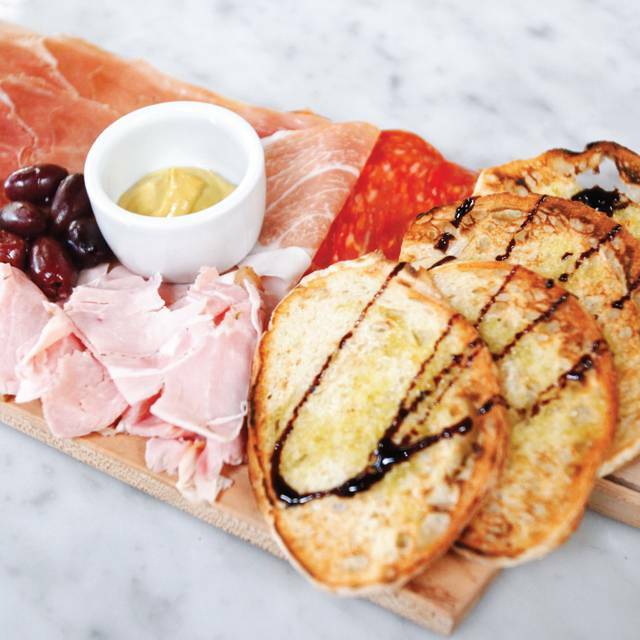 Midici is a terrific addition to the upscale, vibrant King of Prussia Village area. Service is enthusiastic, charming and knowledgeable. Ingredients clearly fresh. Everything made to order. Multiple vegetarian options, and a children's menu. Can comfortably accommodate crowds, and you can still hear at your table! AND it's byob. 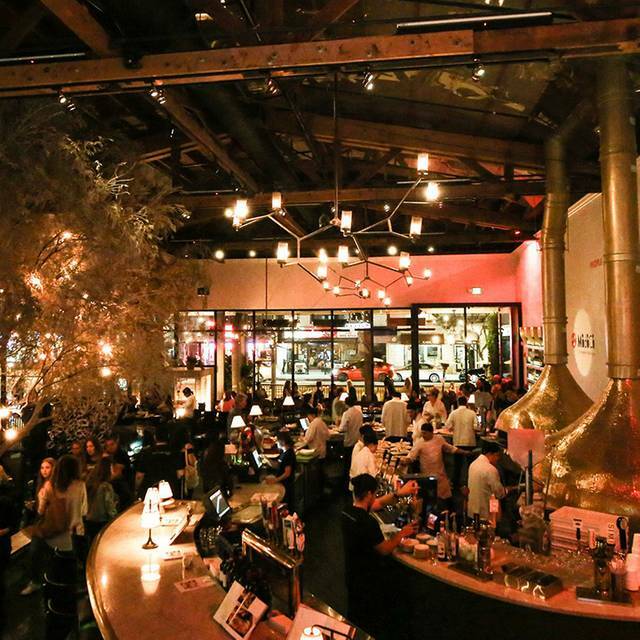 Convenient parking round out a terrific option for delicious casual dining with flair. Pizza just had no flavor. Every component lacked seasoning. It had lots of flour on the bottom that coated my mouth. As for ambiance, there are two huge, brightly lit soda machines in the dining room for the waiters to use . Feels like you're in a burger king. On the plus side, the staff was super nice. Everyone was very friendly. Pizza was very bland. Restaurant was just ok. Order the Shrimp Scampi pizza. It had absolutely no taste. The shrimp were few and far between. the entire pizza had five tiny shrimp on it. Cheese was barely there. No taste. Missing several ingrediants including taste. No garlic. Not happy at all with this choice. Not sure if we will give them a second chance. Ceasar salad also had no taste. As usual, the staff was super friendly and the food was amazing. They go out of their way to make your dining experience pleasant. We’ve never had an item on their menu we didn’t like, everything is delicious. They even gave us a dessert for free. We love this place! My husband and I had an early dinner on a Saturday and we got right in and seated immediately and with a friendly inviting greeting. Staff seemed excited about they’re recent opening and we’re very attentive. Food was great loved the meat and cheese boards, and Neapolitan chewy, soft pizza, good ones are hard to find! Check out this gem of a place I highly recommend! to process. Too noisy. Never again. Our family really enjoyed our dinner at MidiCi. Delicious pizza and the Italian salad is great!! Walked around Town Center after. Made for a fun family night!! We will be back. Was pleased with the quality of the pizza. The music was a bit loud there were only a few people inside and it was getting cold out and they had the door open so it felt drafty. Looked like people could sit outside with their dogs which was nice to see. I would try it again. I went there with my friend on Saturday, September 15, 2018 and had 7:00pm reservations for 2 via OpenTable. We get there right at 7pm, and we come to find out our table is not ready yet. That was okay, we waited, however it took about 10 minutes for us to get seated, and when we did get seated, it was a really small high top table overlooking the salad/pasta station and directly across from the open kitchen and the brick pizza ovens. I asked our server what happened and she said that their is no communication between the front of the house and the kitchen and when she asked where our food was along with another server asking where his food was, the kitchen laughed at them and said and I quote "quit asking about your damn food, you get it when you get it." have no tolerance for rudeness at my restaurant, and if a member of my staff talked to an employee like that, I would send them home. I then proceeded to ask our server, to get me a manager, who then walked over. She just said "I'm Emily, how are you?" Jeez, how am I if I'm asking for a manager over poor service? She heard our complaint, but just nodded her head, and said she would discuss this with the VP Tom (who apparently was working tonight as the pizza oven cook). I said it should not take this long for food, in which she replied she has to look things over..... The manager Emily, then proceeded to rip the bill out of my hands, and walk away. I never heard from her again, nor did she apologize for the poor customer service and the behavior of the employees. Our server had to tell us she comped the meal,and told us to have a good day. Other chains like Bertuccis and pizza places independently run could operate better than this. I I am ashamed to be in the same industry right now because the customer is always right; even if they are wrong you treat the customer correctly. I would of never treated my customers at the restaurant I manage like this. We decided to dine here for a rare date night. We chose the restaurant because I cannot have dairy & they offer vegan cheese, and because my fiancé loves pizza. And I wanted to try the Nutella calzone. We were seated immediately because we had a reservation but it was loud and busy. Our server took forever to come over (tables seated after us received beverages before we were even greeted). When she finally came over she then came back without our drinks to take our order (we asked for 2 waters and an ice coffee). We give our order she then still takes another 5 min to come back with water. We are watching her and she has 4 other tables scattered thru out the restaurant. She still never comes back with the iced coffee. She comes back again a few minutes later & advises us that the restaurant is out of vegan cheese (at 7pm on a Saturdsy night). At this point we decided to leave as there wasn’t anything else for me to eat & we just knew the service wasn’t going to get any better. We went across the street to City Works (our usual spot) and had a great meal. We were here during a dinner rush which they clearly couldn’t handle (understaffed?lack of organization ?). One main dish came out 10 mins before the others. Still, would go back, off peak. Great BYOB spot. Sat outside to dine on a beautiful late summer evening. I had the TRUFFLE & PROSCIUTTO pizza and my friend had The Devil's Pizza (love the name); both were delicious. Service was very good. Enjoyed our experience at the restaurant but we did feel a bit rushed. Food was good.